It was an ingenious machine for the pumping of water. It consisted of a cylindrical leather bellow with a wooden ringed frame. At the base it had a heavy lead disc with leather non-return valves and at the top a wooden lid with the incorporated outflow pipe. It functioned with the reciprocating movement of the pivoted lever which was connected to the flow pipe of the bellow. 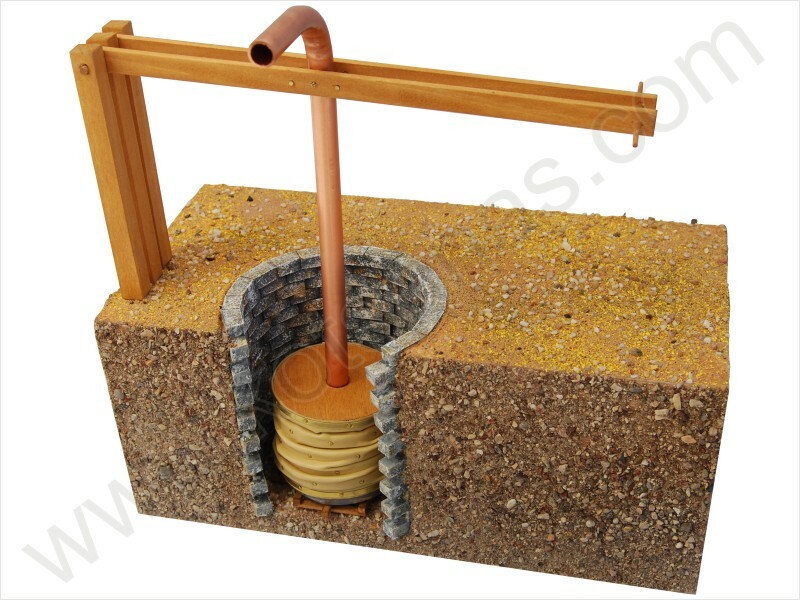 The bellow was placed inside a well whose bottom was covered with stones or timbers so that the water of the well entered the valves of the lead disc. SOURCES: "Philon of Byzantium, Pneumatica"